The R&S®TS-BCAST is a compact DVB-H signal generator with integrated IP packet inserter. It makes it possible to generate a DVB‑H data stream from any IP data (e.g. audio and video streams) received via the network interface and to transmit this stream as a radio signal. 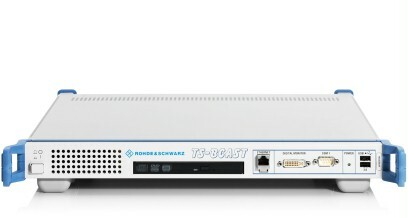 The R&S®TS-BCAST is a compact DVB-H signal generator with integrated IP packet inserter. It makes it possible to generate a DVB‑H data stream from any IP data (e.g. audio and video streams) received via the network interface and to transmit this stream as a radio signal. 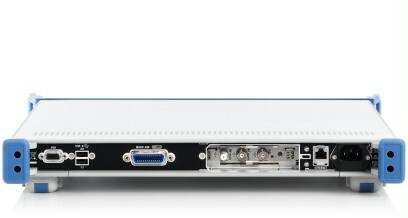 This DVB‑H data stream is required for OMA BCAST test cases. The combination of the new generator with the R&S®CRTU-W WCDMA system simulator and the R&S®CA-AC08 BCAST test cases yields a compact OMA BCAST test solution.